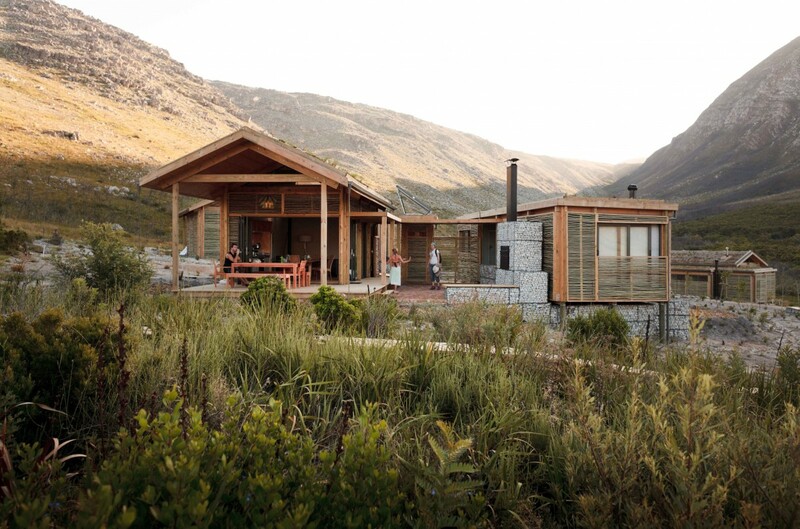 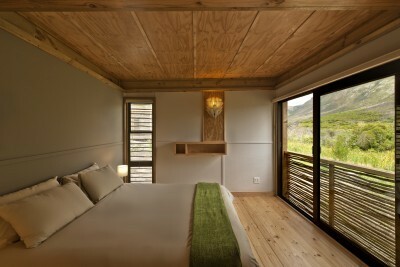 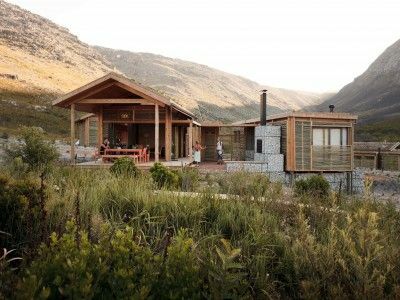 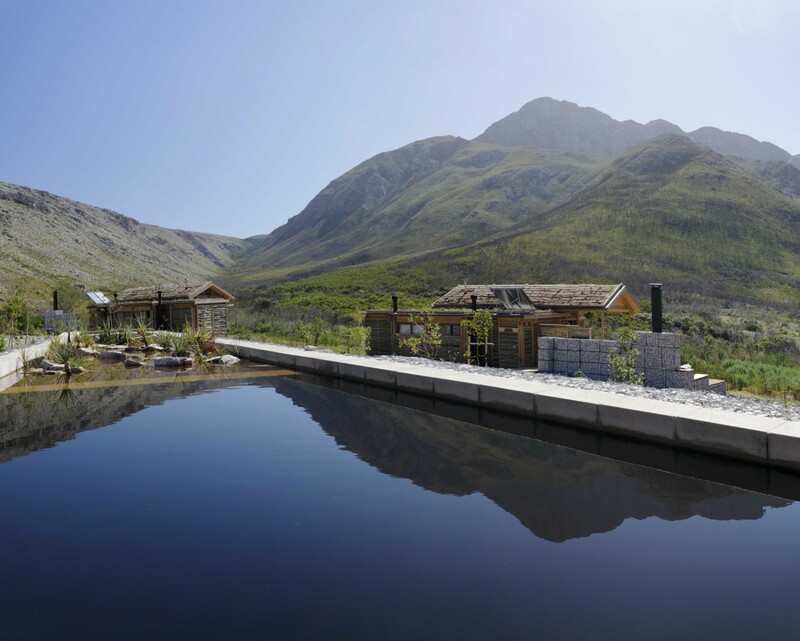 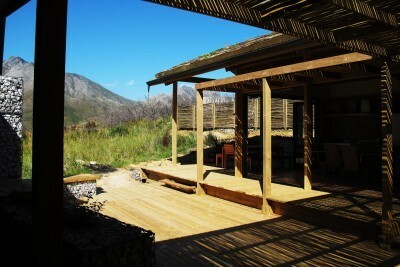 Conceptualised as a flagship sustainable ecotourism development for CapeNature Conservation, the project sought to develop an environmentally responsive and low impact approach to design. 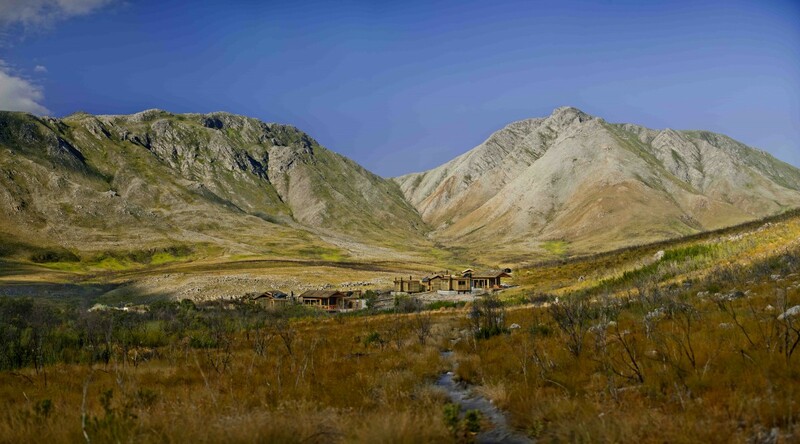 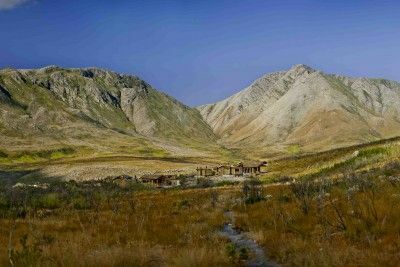 Set within a pristine, rugged wilderness area and UNESCO World Heritage Site, the self-catering facilities were designed to connect people and nature and minimise the impacts of development on the ecosystems. 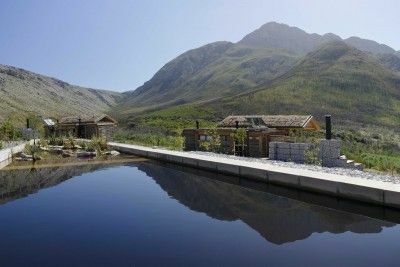 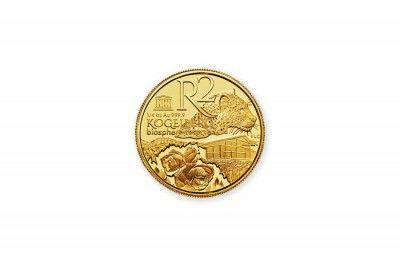 The Koggelberg Nature Reserve and biosphere is of exceptional ecological importance as a largely pristine natural area within close proximity to Cape Town. 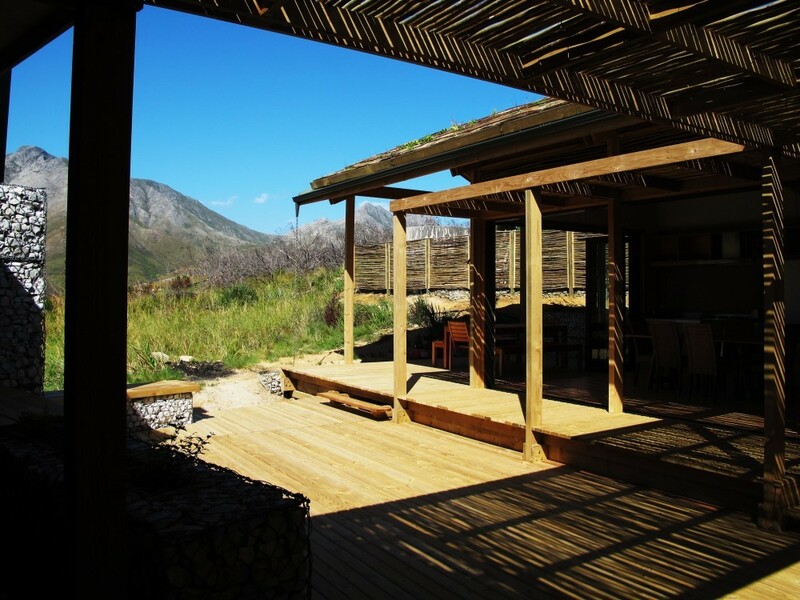 The development thus needed to be carefully handled so that both the ecological and tourism imperatives can be woven together to form a coherent and meaningful entity. 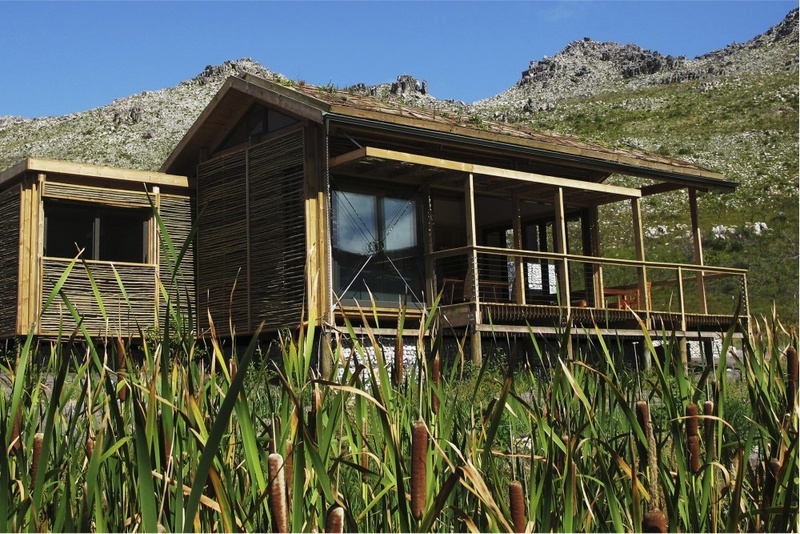 The project required the creation of new self-catering tourist facilities which include: 5 new cabins, an interpretation/recreation space, ecological pool and outdoor spaces. 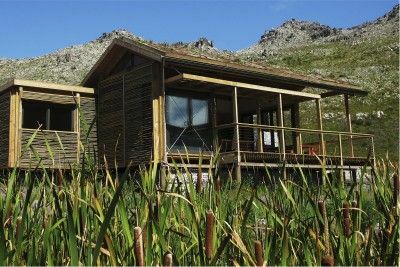 This replaced the existing timber cabins which were at the end of their lifespan. 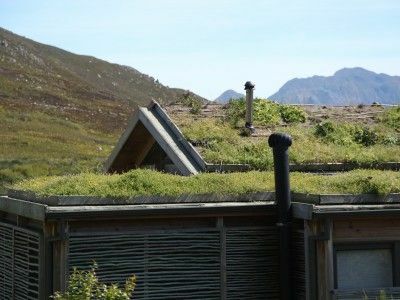 The scheme follows 'best environmental practise', working within the existing impacted footprint and integrating specialists' input to ensure minimal effect on the eco-systems. 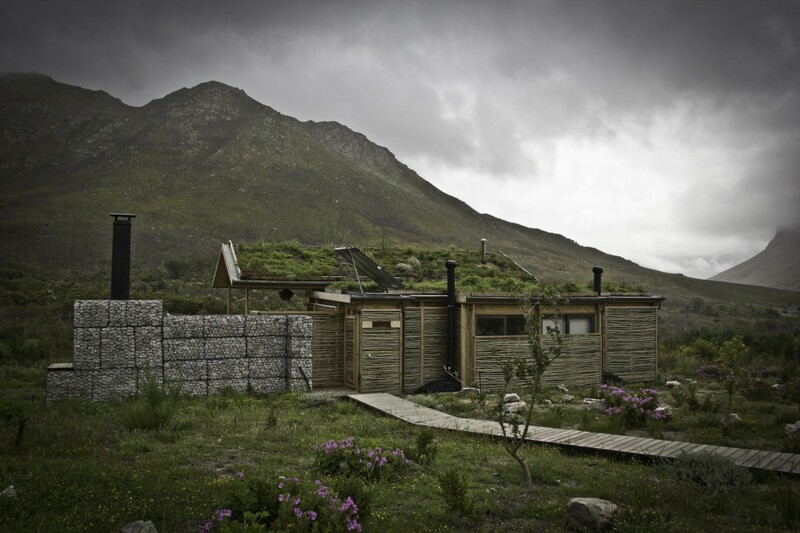 Restorative and re-generative strategies rehabilitate the ecological processes and locate the new cabins. 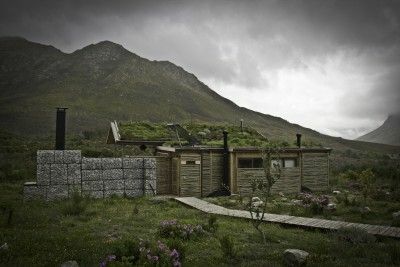 To “touch the earth lightly” means to prioritise the natural landscape, ecology and environment and design in a way which minimises the impact upon the site. 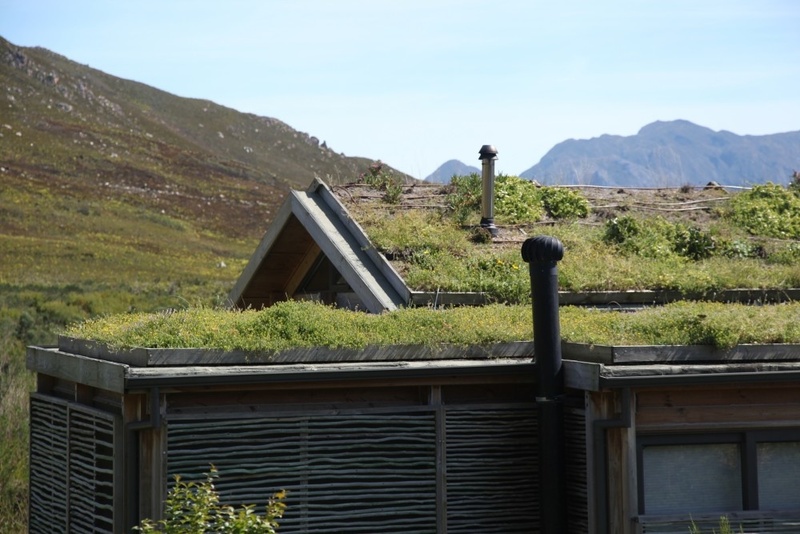 Visually, the project uses natural materials, planted roofs and textured surfaces to minimise the visual impact of the development and blend in with nature. 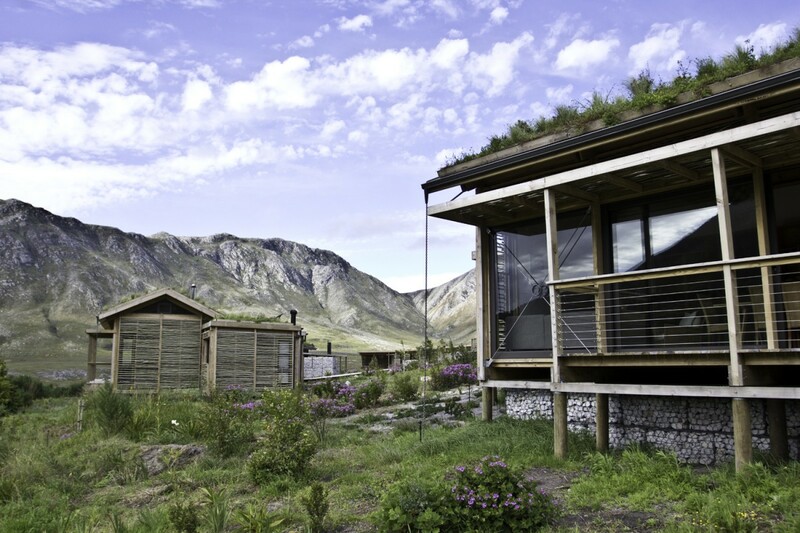 Operationally, the careful use of green infrastructure allows the cabins to operate independently and sustainably, while also minimising the carbon foot print and waste generation of the users. 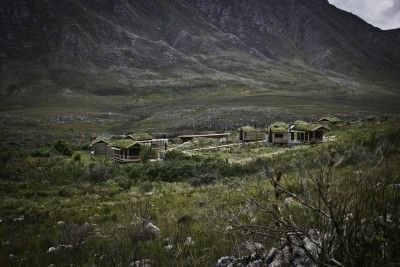 In addition, the development was restricted to previously impacted land and the lightweight 'off-site' fabricated structures minimised on-site ground works. 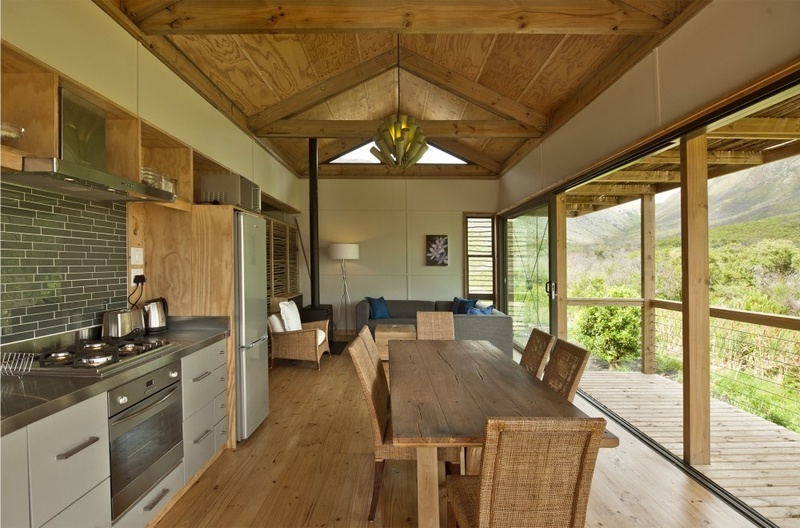 This project has been featured in numerous publications and videos and it has won multiple awards. 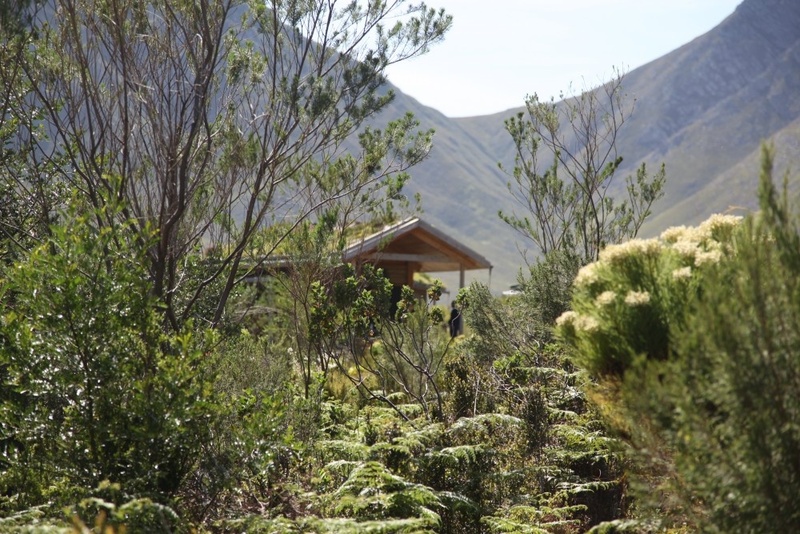 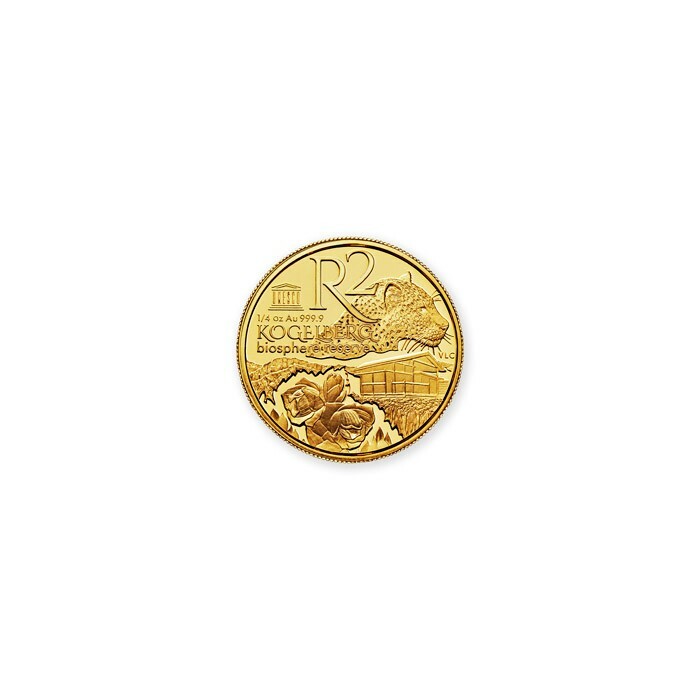 Click the buttons below to view some of the media items.